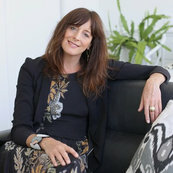 Loved working with Debra at Cocoon Home Design. We had been in our mid-century modern home for a few years and desperately wanted to style the main living spaces (living room and dining room) but didn't know where to start. Debra started by re-arranging our existing furniture - no cost and it was very impactful. We then strategically choose where to invest our budget for new pieces and painting. I love our home now - it's comfortable and homey while also appealing. I could not have done it without Debra and Cocoon Home Design. So easy to work with it and fantastic results.